Gastroesophageal reflux disease (or GERD) occurs when acid from the stomach backs up into the esophagus. Normally food travels from the mouth, down through the esophagus and into the stomach. A ring of muscle at the bottom of the esophagus, called the lower esophageal sphincter (LES), contracts to keep the acidic contents of the stomach from “refluxing” or coming back up into the esophagus. When you have GERD, the LES does not close properly, allowing acid to move up the esophagus. Occasional heartburn is normal. However, if heartburn becomes chronic (occurring more than twice a week), you may have GERD. Anyone can can experience this disorder, however, those who are overweight or pregnant are particularly susceptible because of the pressure on their stomachs. Recent studies indicate that GERD may often be overlooked in infants and children. In infants and children, GERD can cause repeated vomiting, coughing, sore throats, ear infections, and other ear, nose and throat disorders. Most infants grow out of GERD by the time they are one year old. • Limit problem foods such as caffeine, carbonated drinks, chocolate, peppermint, tomato and citrus, and fatty or fried foods. • Eat small meals and slowly. The most common symptoms of GERD are persistent heartburn, acid regurgitation and nausea. Some people experience GERD without heartburn and instead, have pain in the chest that can be severe enough to mimic the pain of a heart attack, hoarseness in the morning, or trouble swallowing. Others may feel like they have food stuck in their throat, or as if they’re choking. GERD can also cause a dry cough and bad breath. Physical causes of GERD can include a malfunctioning or abnormal lower esophageal sphincter muscle (LES), hiatal hernia, abnormal esophageal contractions, and slow emptying of the stomach. • Consumption of citrus fruits, chocolate, caffeinated beverages, fatty and fried foods, garlic and onions, mint extracts (especially peppermint), spicy foods, and tomato-based foods (spaghetti sauce, chili, pizza, etc.). 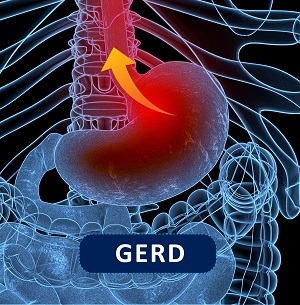 Left untreated, GERD can lead to medical problems such as ulcers and strictures of the esophagus (esophagitis), cough, asthma, throat and laryngeal inflammation, inflammation and infection of the lungs, and collection of fluid in the sinuses and middle ear. GERD can also cause a change in the esophageal lining called Barrett’s esophagus, which is a serious complication that can lead to cancer. Otolaryngologists (ear, nose, and throat doctors) have extensive experience with the tools that diagnose GERD. They are specialists in treating the complications associated with GERD, including sinus and ear infections, throat and laryngeal inflammation, Barrett’s esophagus, and ulcerations of the esophagus. 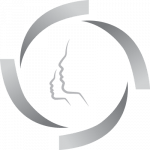 GERD can be diagnosed or evaluated by clinical observation and the patient’s response to a trial of treatment with medication. In some cases, other tests may be needed including an endoscopic examination (a long tube with a camera inserted into the esophagus), biopsy, x-ray, examination of the throat and larynx, 24-hour esophageal acid testing, esophageal motility testing (manometry), emptying studies of the stomach, and esophageal acid perfusion (Bernstein test). Endoscopic examination, biopsy, and x-ray may be performed as an outpatient in a hospital setting. Light sedation may be used for endoscopic examinations. Most people with GERD respond to a combination of lifestyle changes and medication. Occasionally, surgery is recommended. Lifestyle changes include weight loss, quitting smoking, wearing loose clothing around the waist, raising the head of your bed (so gravity can help keep stomach acid in the stomach), eating your last meal of the day three hours before bedtime, and limiting certain foods such as spicy and high fat foods, caffeine and alcohol. Medications your doctor may prescribe for GERD include pro-motility drugs like Reglan, and foam barriers such as Gaviscon. Certain over-the-counter products including antacids (Tums, Rolaids, etc. ), proton pump inhibitors (such as Prilosec, Prevacid, Aciphex, Protonix, and Nexium), and histamine antagonists (H2 blockers such as Tagamet) may also offer relief. Many swallowing disorders may be helped by direct swallowing therapy. A speech pathologist can provide special exercises for coordinating the swallowing muscles or re-stimulating the nerves that trigger the swallow reflex. Patients may also be taught simple ways to place food in the mouth or position the body and head to with swallowing. Some patients with swallowing disorders have difficulty feeding themselves. An occupational therapist can aid the patient and family in feeding techniques. These techniques make the patient as independent as possible. A dietitian or nutritional expert can determine the amount of food or liquid necessary to sustain an individual and whether supplements are necessary. Surgery is used to treat certain problems. If a narrowing or stricture exists, the area may need to be stretched or dilated. If a muscle is too tight, it may need to be dilated or even released surgically. This procedure is called a myotomy and is performed by an otolaryngologist (head and neck surgeon). Surgical treatments available include fundoplication (a procedure where a part of the stomach is wrapped around the lower esophagus to tighten the LES) and endoscopy (where hand stitches or a laser is used to make the LES tighter). Many causes contribute to swallowing disorders. if you have a persistent problem swallowing, see an otolaryngologist.